To meet the varied needs of a living room or family room entertaining, watching television, reading, playing games, accenting artwork three to four layers of lighting should be used. These might include recessed lighting around the perimeter of the room, a chandelier or central decorative fixture for general lighting, wall sconces for mood and portable lamps for reading and other tasks. Use dimmers whenever possible for maximum control of all fixtures. Portable lamps can deliver ambient, task and accent lighting while giving you the flexibility to move the light wherever you want. 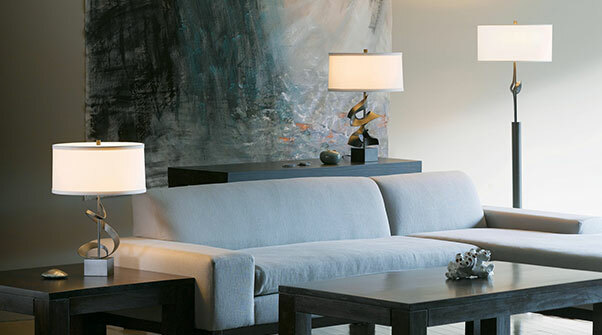 Table lamps, floor lamps and torchieres (floor lamps with an uplight component) are available in a variety of styles to complement your interior design. 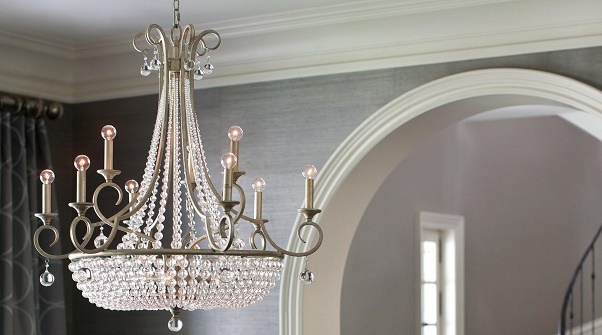 Chandeliers add style and a decorative focal point to almost any room in the house. Recent lighting design trends have focused on the value of chandeliers in many spaces throughout the house. They have traditionally been used in the dining room, but are now commonly used in living rooms and dens. The addition of a dimmer lets you alter the intensity of the light to suit the mood or activity. Accent lighting adds drama to a room by creating visual interest. As part of an interior design scheme, it is used to focus interest on houseplants, paintings, sculpture and other prized possessions. To be effective, accent lighting requires at least three times as much light on the focal point as the general lighting surrounding it. Accent lighting is usually provided by track, recessed or wall-mounted fixtures.